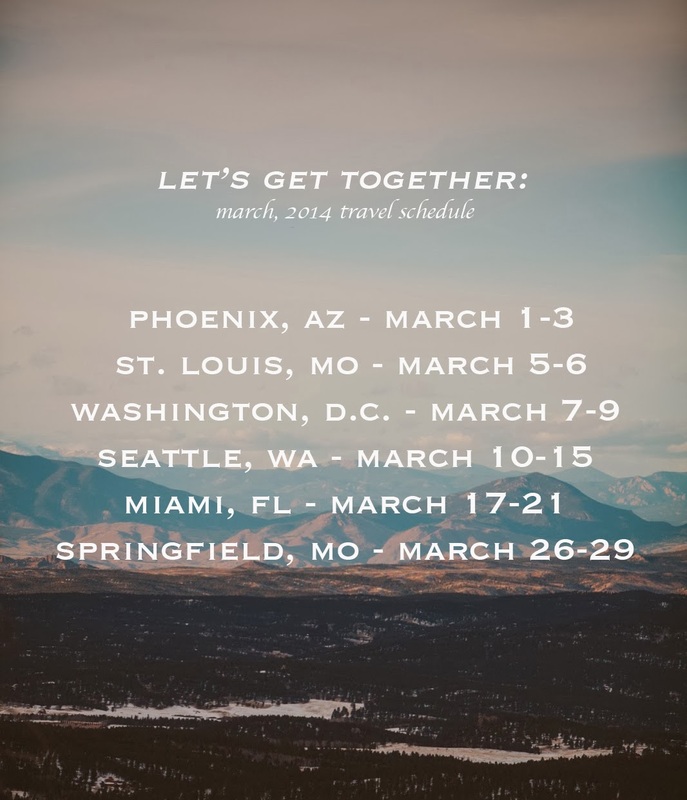 I wanted to share my travel schedule with you for the month of March. So whether to set up a photo shoot, coffee, or to do some good ole exploring, if you're in the area, let's get together and make some killer art. Oh my, I just want to live in at least one of this places. I really want to do that. Traveling. Looks like you will have a pretty full month, can't wait to read about your thoughts ans see the gorgeous photos you make along the way. Have fun, Kinsey! So envious! ^^ Have fun! Bummer, nowhere near me. If you're ever in Indiana I would love to get together! All of that travel sounds amazing though. I'm sure that by the end, you'll have all kinds of great art. Damn, wish you were coming to LA! Have fun! What a beautiful March you're going to have! I've been thinking of heading out to Springfield for a mini-vacation so maybe I'll see you there if it's around that time! This is such a great idea. I would love to collaborate, but unfortunately, I am in Germany! Giiiirrrrrllll we've gotta do some adventuring in KC soon! Yay Seattle! If you need recommendations, let me know! I live just west of St. Louis, MO with an AMAZING park for photo shoots. Like amazing possibilites. Massive cliffs, a river, creeks, fallen trees. The works. I also sew bags for a nonprofit and have some fun stuff I'm working on for my sweet baby girl's nursery too! So lady, you are more than welcome to come on over on March 5th, do a project with me or go stomp around Castlewood park till sunset. I love that you shared your travel schedule with such an awesome invitation. Hope your travels are blessed and exciting! Fellow photographer in Seattle, here! Do you know where ya'll will be throughout the week? Wonderful post. Its very beautiful and gorgeous photos. Thanks for your nice post.